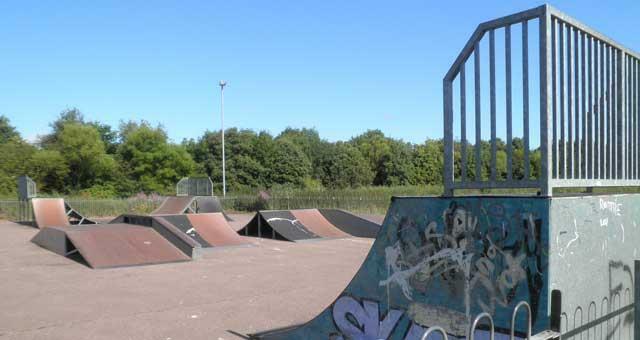 Cobholm Skate Park & Kick About Area in Cobholm, Great Yarmouth comprises a skate park and a hard standing court (court available for general use outside of school times). Proceed out of Great Yarmouth over the Haven Bridge, keeping in the right hand lane and taking a right turn onto Mill Road. Follow Mill Road right round to the end where it meets Tyrrells Road. 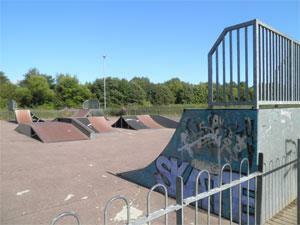 Cobholm Skate Park & Kick About Area is tucked away.